For more photos check out our photo gallery of Dolphin Bay and Khao Kalok tours! 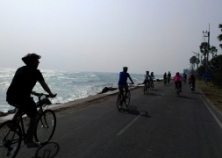 This is a beautiful 25km (or longer) ride with fabulous beachfront cycling on virtually traffic free roads. If you want sun, sand, sea, and views ‘to die for’, this is the ride for you! After 25km we can offer additional riding for those that want to add a few more kilometers on the bike. 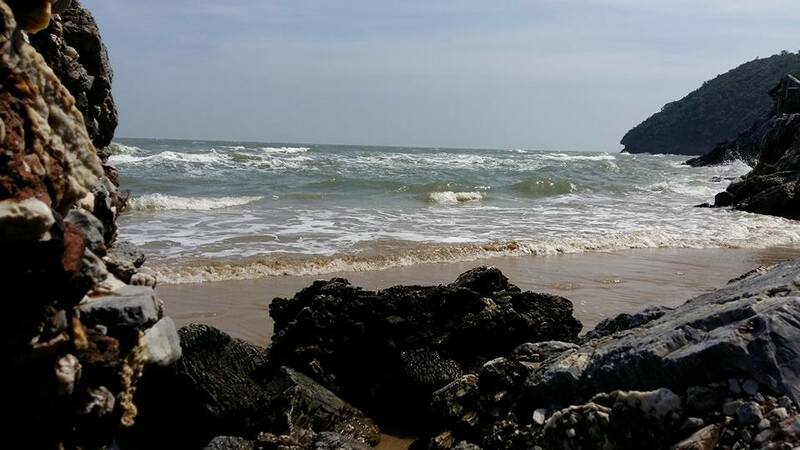 If Hua Hin is as far south as you have been along the “Royal Coast”, you will want to see the beaches we ride on throughout this tour. Starting the trip at the south end of Dolphin Bay, just 50 minutes drive south of Hua Hin, we will ‘fit’ you with your bike and helmet and prepare for departure from here. Then for the next hour it is mile after mile of beautiful seafront riding, with almost nobody else in sight. 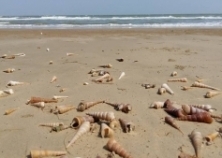 Maybe just a few cattle on the beach, honestly… see the photos! We then turn off the beachfront to cycle through some fishing villages and after a few kilometers we drop back down onto the seafront again in the Khao Kalok Bay. 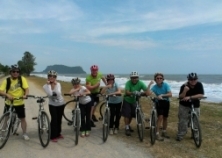 Once again, there is beautiful riding for a further few kilometers along the beach, until we reach Khao Kalok itself. 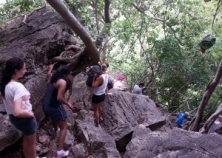 This is where we have the option of trekking up a couple nature trails that take us up to a mountain top viewpoint and also over to a private beach with spectacular rock formations from being battered by the sea for thousands of years. 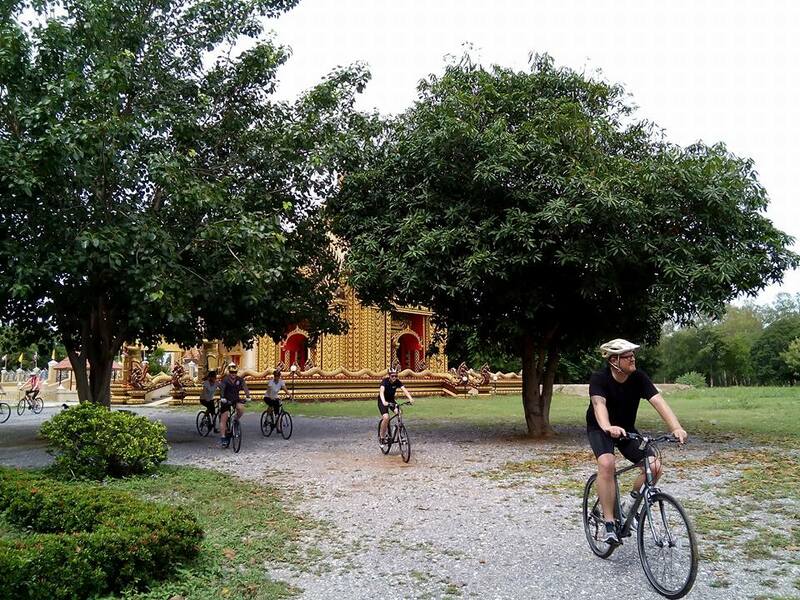 Before stopping for lunch we refresh with some fresh coconut and continue cycling along the coast into Pranburi Beach where there are many boutique resorts to discover for future visits to the area. We stop at one of our favorite Thai restaurants for a variety of Thai seafood delicacies to conquer even the heartiest of appetites while looking out onto the bay and the colorful Thai fishing boats. After lunch we continue on to yet another stretch of beautiful beaches with luxurious seaside homes and a few quiet resorts here and there. 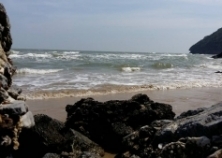 We will pass through the large fishing town of Pak Nam Pran (translates to Mouth of the Pranburi River) and finish at a lush forest park for a nice walk through the Mangrove forest. If time permits and riders want to get in a few more kilometers they can choose to continue on some rolling hills to the village of Khao Tao. The majority of the cycling is on flat tarmac ‘traffic free’ roads. There are no hill climbs plus we have many breaks in the ride to take in the scenery, cold water, and fresh fruit.